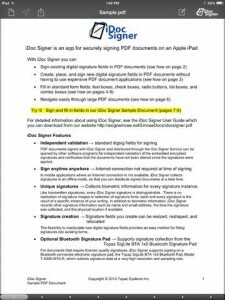 iDoc Signer is a client app that works together with the Doc Signer Service to embed signatures in digital signature fields in PDF documents. 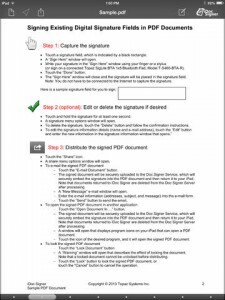 The Doc Signer Service can be hosted in your environment (locally or on the cloud) to provide the service to your employees and customers. 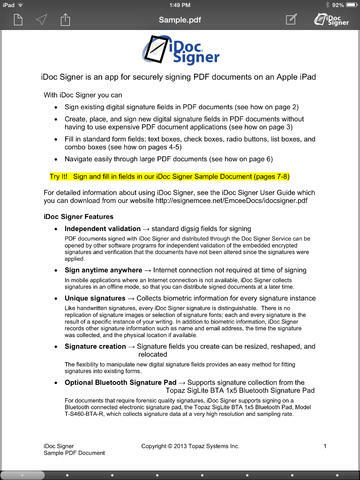 iDoc Signer collects biometric signature information so that every iDoc Signer signature is distinguishable. 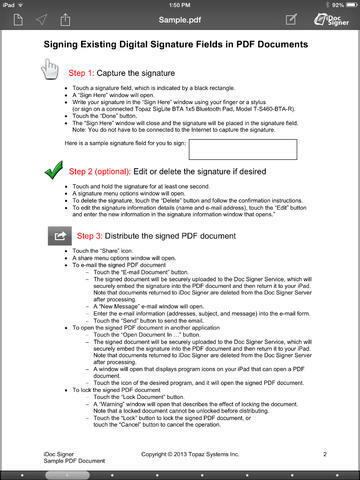 In applications where an Internet connection might not be available, iDoc Signer collects signatures in an offline mode, so that you can distribute signed documents at a later time. For further information, visit our website www.topazsystems.com/idocsigner.html.